Children can experience life in a bomb shelter, investigate the history of Middlesbrough, explore the natural world or come face to face with ancient civilisations. The Nelson Room, featuring the Thomas Hudson Nelson collection of birds and eggs, showcases over 100 mounted bird specimens in the gallery, and unchanged since the exhibit was first installed in the early 1900s. Dorman Museum is proud to have the largest public collection of Christopher Dresser pieces in the world. A forward-thinking pioneer, Dresser embraced early industrialisation and the benefits it could provide to manufacturing. Not limiting his talents to designing just one type of product, Dresser produced designs for everything from teapots to chairs, a huge variety of which are on display in the museum's gallery, and many of which look surprisingly up-to-date even today. During his time in Middlesbrough, Dresser also established the Linthorpe Pottery. The Linthorpe Pottery was established in 1879 and sat within a square formed by Burlam Road, Roman Road, Oxford Road and Thornfield Road, in Linthorpe. The pottery produced thousands of items, from mantelpiece clocks to vases, often in a beautiful brightly coloured style. Despite this popularity, the Linthorpe Pottery only operated for approximately ten years. Today the pieces are highly collectible, and Dorman Museum is proud to have amassed an impressive collection of around 1,060 pieces. 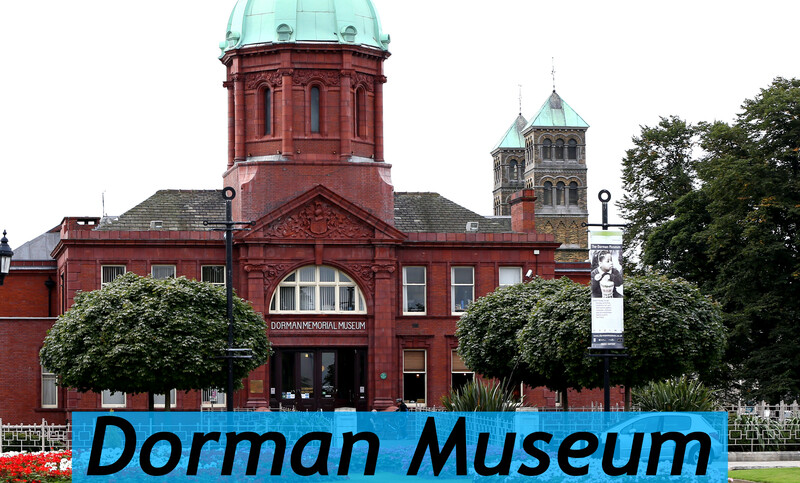 Regular holiday events mean the Dorman Museum is a great day out all year round, and a changing exhibition programme will encourage you to visit again and again.